While starting a cluster in one of production systems we encountered every time a SOASuite or WLS cluster starts at least one managed server get a error like below. 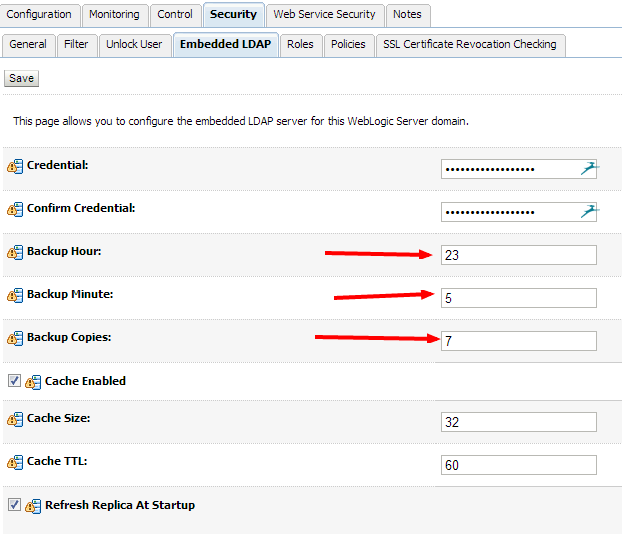 to solve weblogic embedded ldap error’s you can follow below steps. After much debugging we finally restored the ldap from the backups but the issue still remained.we had around 9 managed servers using Unicast protocol for cluster communication. Below are the logs which we see in logs file. We finally found out that this error is because of ldap files of servers running inside the domain getting corrupted while getting started. 2. Enable “refresh replica at startup” option for embedded ldap. Login to WebLogic console, click on domain name on left pane –> go to security tab –> Embedded LDAP tab –> click on “Refresh replica at startup” option. – Expand the Domain node. – Select the Security–> Embedded LDAP tab. 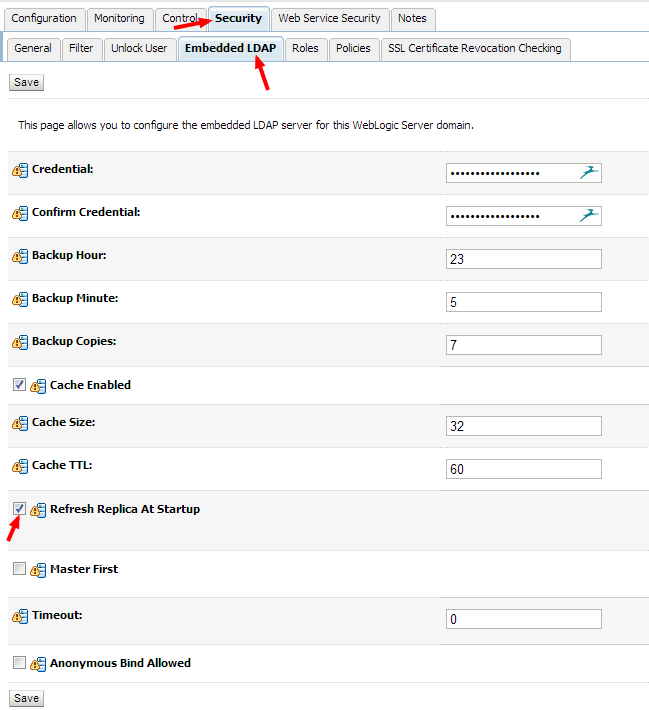 – Set the Backup Hour, Backup Minute, and Backup Copies attributes on the Embedded LDAP tab. – Click Apply to save your changes. Please find the sample instructions to do the same. you can get many open source ldap browsers in sorceforge.net like Jexplorer,open ldap etc. To view the contents, change the embedded LDAP credentials. Select the Security–>Embedded LDAP tab. Change the Credential attribute from its generated value to a password you will use in the LDAP browser. Set the host field to localhost. Set the port field to 7001 (7002 if SSL is being used). Uncheck the Anonymous Bind option. Set the User DN field to cn=Admin. Set the Password field to the password you specified in the previous Step. Use the LDAP browser to navigate the hierarchy of the embedded LDAP server.